Over the past couple of years, philosophers and artists have slowly begun to question the doom-and-gloom pessimism that has defined far-left attitudes toward utopia since the end of the Second World War. For the Frankfurt School, Enlightenment rationalism led inexorably to fascism. For the deconstructionists of the 1970s and 80s, “progress” was intimately connected to systems of oppression, violence, and colonization. Today, by contrast, a growing body of post-Marxist literature suggests that workers’ movements have perhaps less to fear vis-à-vis the future than was previously thought. Take Empire (2000), for example, Antonio Negri and Michael Hardt’s ode to the decline of the nation-state, in which they argue that the deregulation of markets and the proliferation of the internet are having the paradoxical effect of allowing workers to organize, coordinate, and articulate their interests quickly and efficiently, albeit on an ad hoc basis. McKenzie Wark’s A Hacker Manifesto (2004) makes the point that internet file sharing, open-source networking, and DIY activism are positing new ways to think about agency and political change. 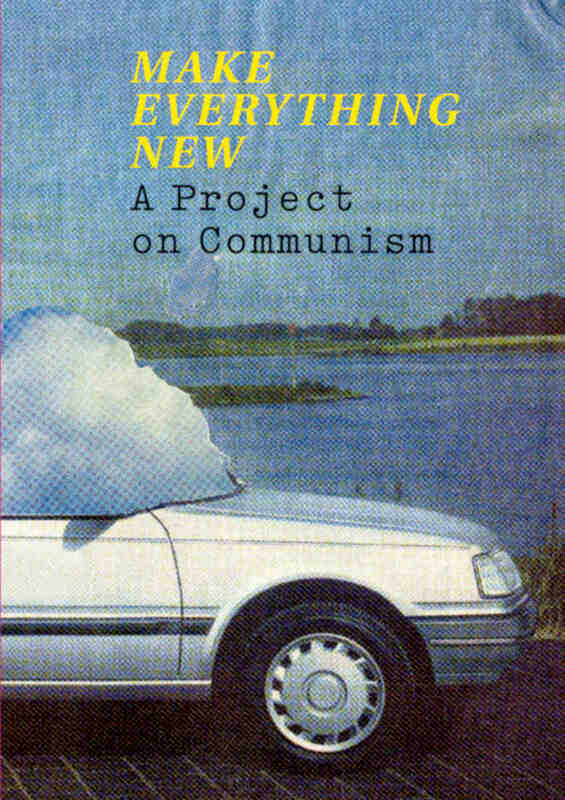 Moreover, Make Everything New: A Project on Communism (2007) asks us to consider the ways in which art can participate in helping us better understand the complex relationship between politics and social change. Inspired by the writings of Giorgio Agamben and Machiavelli, it addresses “the microfascisms… that stitch together our sense of being and bind it to power.” The book catalogs a range of strategies for thinking about community, in an effort to question prevailing assumptions about efficiency, individuality, and the relationship between production and consumption. A central concern of Make Everything New is the importance of trust in contemporary politics — as well as the opportunities that trust may afford us in negotiating new territories and new models. Artist Maria Eichhorn, for example, discusses a project in which she used her production budget for the Yokohama Triennale “to open a joint bank account, which would be freely available to all.” She explains that the idea was to make “each participant… equally responsible for their own transaction.” Also in the book, in an interview with Rene Gabri and Ayreen Anastas of 16Beaver, Martha Rosler talks about her present work on criticality and information exchange, as well as the “need for social transformation.” Rosler recounts why she made her private library available to the public in 2005 and 2006, and how the bartering and sharing of knowledge raises central questions about the market economy and its place in information-centered societies. 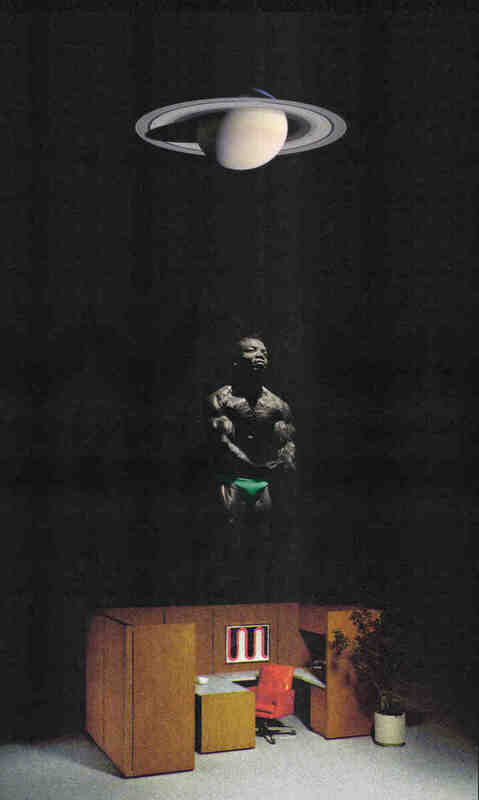 Finally, AA Bronson recounts his involvement in General Idea, a multimedia artist and design collective that was dedicated to devising cooperative and consensus-driven approaches to art-making, from the 1960s to the 90s. “Morning coffee and dinner were always done as a group,” she notes. And then there’s that familiar elephant in the room: capitalism. In an echo of postmodern critiques of Marxism from the 1970s and 80s, Michael Blum talks about the way in which the utopianism of the early twentieth-century design avant-garde was co-opted by large-scale corporate interests after World War II. “Today, utopia’s remnants are made available worldwide by IKEA,” he writes. Earlier in the book, in an interview with Aleksandra Mir, Jim Fitzpatrick offers a stranger-than-life account of his role in designing the famous black, white, and red silkscreen poster celebrating South American revolutionary Che Guevara. First printed in 1968, the poster was meant to be copied and reproduced. Fitzpatrick intentionally never claimed copyrights for it, which, as the interviewer points out, proved to be both a blessing and a curse. The strength of Make Everything New is its diversity of voices and its interest in exploring politically engaged art (which we see all too seldom in the American art scene). The piece by Eichhorn is particularly strong in the way that it interrogates the economic underpinnings of artistic production with the precision and moral indifference of Franz Kafka’s Josef K, Eichhorn positions herself as a collector of facts rather than artifacts, which bespeaks the way in which today’s growing fetish for information management and data control is redefining concepts of value and authenticity in the arts. On the other hand, the book is also flawed, in that many of its contributors fail to articulate and explore the broader implications suggested by their work. Martha Rosler’s collectivized and cooperative forms of expression sound great in theory, for example, but they can also lend themselves to predatory cultural practices. Although she fashions her e-flux project as a democratic experiment in knowledge-sharing and information exchange, she could also be said to be participating in the outsourcing of artistic production. (People write her books, yet she ultimately “owns” them.) Why is there not a strategy for dealing with questions of ownership and property in Rosler’s recent work? And is there a difference for her between access and exhibitionism? While Make Everything New raises salient questions about the relationship between art and politics, it fails to scrutinize the ways in which countless existing cultural venues, from MySpace to YouTube, already utilize interactive and user-driven strategies of communication and knowledge production in order to leverage their commercial and financial interests. Notions such as “community” and “cooperation” do represent potentially interesting new directions for artists and activists alike, but to explore these relationships, we need to see a more rigorous critical examination of the concepts and the contexts of interactivity, access, and trust. In the end, Make Everything New may leave you feeling encouraged about the nascent activism and engagement in some corners of the art world, but it may also be myopic, overlooking some less uplifting, and in some cases decidedly unsettling, territory. This is not to say that community and cooperation should be consigned to the dustbin of history, but a more skeptical engagement with the Now would have made for more valuable reading.